I am still amazed whenever I hear of a friend (through Facebook) or meet someone who tells me that he or she does NOT drink coffee. No offense, but it is hard for me to imagine starting my morning sans my caffeine dose. It's like telling a little girl she can't have pink stuff... what I mean is it is hard for me to digest that fact. This December 2012 will be our 6th year anniversary living in Kuala Lumpur. Six years. It did pass by rather quickly, mostly because of the pleasant experiences. (knock on wood) That also means close to 6 years of searching for good coffee around KL -- whether it was looking for a cafe, down to surveying the coffee machines available (for home use) and the search for good quality coffee beans/ground coffee. For coffee connoisseurs and simple coffee lovers alike, I am sure they have their own formula or favorite places all planned out. So this post is really more for people who may still be on the hunt for that perfect place to get a consistent (this is sooo important!) cup of good coffee. The sharing below is fully my experience and own opinion with no influence from any brand or owner whatsoever. And do pardon me if I am a bit blunt on some of my opinion. Coffee press (both Starbucks and Ikea models) were okay -- it was fast and easy to prepare. However, hubby always got ticked off by the "sandy" stuff that stays at the bottom and sometimes it finds it way into the coffee. So at the bottom of the coffee cups, you may find some residue. So in the end, we shelved our little "coffee machine". 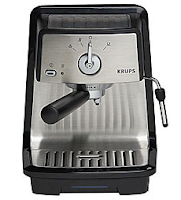 Espresso Machine Krups: which we bought from Isetan a few years back served its purpose. We had superb coffee for a number of years. The only caveat was finding good coffee roasts. We also sometimes got a bit lazy to get up and do the milk frothing (which is attached to the machine). I always take my coffee with milk, and somehow the thought of having to froth just turns me off (too much work). For hubby it was easier because he takes black coffee... hence we just needed to fill the little espresso thing and attach to the machine then let the water flow. After years of use it needed to be descaled (fully cleaned using some chemical). Been bugging hubby to do it but he was often busy or we would forget about it... until the point I sort of stopped using the machine... It stood there at the kitchen counter top, ignored and sometimes used... but to my mind it served its good years already. I was dead set on buying a new equipment which is easier and faster. Instant coffee machine: we bought a Philips coffee machine drip after I convinced hubby that it might be useful at home especially when we are in a hurry. It was a cheap purchase from Harvey Norman and true enough, we used it often ... however I must warn you that the coffee taste is satisfactory no matter what beans I use. It was fast to prepare... but not satisfying. As of today while I am writing this blog, the coffee machine is currently in our cabinet gathering dust. Nespresso Machine: Krups Citiz which we brought back from France. This is the most clever invention ever! Superb taste. Fast and efficient. Easy to clean and maintain. Easy to operate. However, we opted not to buy the machine that came with some instant milk froth contraption because of the online reviews we saw. Many mentioned having some problems with frothing machine after months of usage. We didn't want to be bothered by that (especially as we will bring back to KL and perhaps no warranty here). 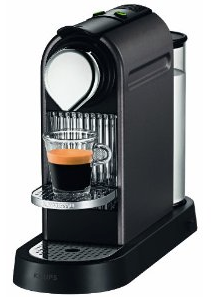 To top it off, my recent superb experience with the Nespresso capsules delivery is like icing on the cake! Would you believe that yesterday, I actually got a phone call (a Singapore phone number)... and it happened to be the Nespresso customer service giving me a ring to check my satisfaction! And informing me that I can order Nespresso capsules via phone or fax or online 24x7 someone will always be there to answer my caffeine needs. Wow. Nespresso really knows how to do their packaging, marketing and customer service. What more can I say... been satisfied since the day we brought back this baby from France. Wish they would open a Nespresso shop here in Kuala Lumpur! There were days when I just had few minutes to spare (and was lazy to use the Espresso machine nor the coffee drip or even the Philips machine) and would resort to instant coffee powder. YES, guilty. Instant coffee. In the past 6 years, we have been a loyal buyer of UCC coffee and I find that only one blend suits my taste... The Blend 117. Strong and good aroma. I bought the same stuff when I was back in Manila and was glad to see it available here. The other options for "instant" or fast coffee was to buy some ground coffee for my coffee machine (Philips). 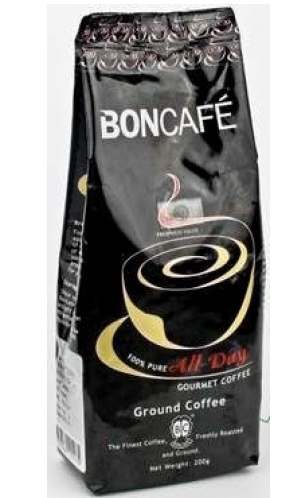 And after trying all sorts of brand that I cannot even remember (and they were quite pricey at Village Grocer or other groceries), I just resorted to Bon Cafe (which is super affordable and tasted as good as the others). Plus it is made in Malaysia. Then a few months ago I discovered how affordable and tasty the ground coffee of Antipodean is (and they were selling it). So I brought it back home and have enjoyed their ground coffee since. You can choose beans or ask them to grind it. Yes, I have also tried those Starbucks and Coffee Bean beans and ground coffee. Didn't really make a big difference. Like I said, the Philips machine was so-so, and whatever you put in there will never compare to using a really good machine. After working inside KLCC Twin Towers for 4 years, those barista at Starbucks and Coffee Bean (and even San Francisco Coffee) knew who I was already. I have paid my dues and they have earned a lot of my money those past years. However, one thing I must note --- when you get inconsistent coffee it can really ruin your day. And once you have walked away with that take-away cup and discover it does not taste superb -- well, my next meeting is waiting for me and I could not be bothered to go back and complain and wait for them to do something. I have experienced numerous times of inconsistency from these 3 places... and same goes for their other branches elsewhere. I don't blame them as they are a chain of cafes and their barista turnover is probably high. The only thing is at that price, I would expect a bit more consistency. My favorites were Vanilla Latte from Coffee Bean (really love that one!) and the Xmas blends from Starbucks (toffee nut latte). Since I stopped working in KLCC, and since our Nespresso machine, I have stopped going to Coffee Bean nor Starbucks. You see, the bad thing of being spoiled with superb coffee is I found their coffee pretty MILKY or bland. After a recent coffee meet up (twice) at Alexis in The Gardens, it was a similar effect: I ordered a latte twice in 2 separate occasions -- both times extremely milky that I swear I will never drink their latte again. Starbucks seem to come short on their lattes no matter what size I order. Often I had to ask them to make it double shot (which they give for free by the way, when you ask for a second shot of espresso saying that it is a bit too milky). Hubby often complained of the inconsistency from one branch to the other. He also had a lot of stomachache experience after his coffee back when his office was in Tropicana Mall. Weird. We suspected it was their milk or the way they stored their milk? We brought this fact up with some Starbucks people just to let them know about it. Anyway, we don't go there anymore. The only coffee place that lives up to a really GOOD cup -- always good and can make your day is the coffee from Antipodean (in Bangsar). I have tried other places like The Red Bean Bag (recently in September went to meet a friend there) as well as the newly opened Artisan Coffee Bar in Bangsar Village 2 (again this September) -- I would say their coffee is OKAY -- not extremely over-the-top good yet not also bad. Decent cuppa in my own latte judgement. 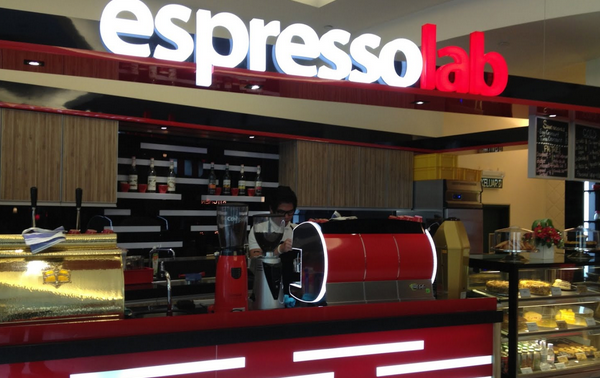 The other place that impressed me recently was the Espresso Lab at Gardens Mall. They have a humble area (small), but their coffee was good. Will most likely visit again one of these days. Overall, I wish Nespresso to open a shop here in KL. So that all the inhabitants of this wonderful place can enjoy a good cup of coffee in their own home. It is definitely more economical! The pricing of Nespresso is very reasonable!!! Ranging from RM 1.80 to RM2.20 per capsule ... and with speedy delivery! The other place serving decent coffee is the small coffee area at the grocery of Publika (BEN's Independent Grocer). The small place is called Plan B and tucked away inside the grocery shopping area. I quite enjoy their latte there just before hitting the aisles to pick up some stuff for home. do you know that small quaint coffee shop in Paris near the metro station that serves the best coffee i ever tasted in my life? i don't remember the name of it, it was like 2 years ago, but that coffee beats the crap out of starbucks and coffee bean. hi Anon, sorry, there are thousands of small and quaint coffee shops in Paris, not to mention Metro stops, so I don't know which one that could be. Anyway, I agree that many of the small shops can beat Starbucks (as well as other brands) especially when they take their coffee business seriously. Wish I knew the name of the shop you are pertaining to as perhaps I could check it out myself on my next France trip. Truely agree on the bad experience we had too at Alexis Garden, we ordered 2 cuppa latte along their signature Tiramisu cake. The latte came, disappointed, overly thumbs down. Diluted looking coffee colours with no milk froth..I can only describe it as coffee with milk. We actually told the waiter to pass on our message to the Barista. " we never knew Alexis such a well known cafe restaurant has a Kopitiam Barista. " Our latte came corrected a way..but the tea time mood after our lunch gathering were spoilt totally. Can't function in the morning without it. My hubby thinks I'm addicted. Thanks for the info and will try to check it out one day! Interested to run an EspressoLab outlet? Sounds like an interesting proposition / suggestion... You know the owner? hi, i came upon your blog while browsing around. i am one of the owners of espressolab. thank you for your encouraging review of us. pls let me know if you are up for any discussions. email me at joshua(at)espressolab.asia, thanks! Incidentally, Nespresso has a kiosk in BIG supermarket in Publika. It is actually someone who is importing compatible capsules and he also sells machines inside Bug. I spoke to the guy a malaysian chinese entrepreneur ... Machine price on high side if compared to Europe. While the compatible capsules were watery compared to the compatible capsules I bought from France. Thanks for the info though! Latte is my usual cuppa when I visit to any cafes and yes, I do find most lattes a bit too milky to my liking. Very much agree on your comment on Antipodean and Espresso Lab. Have yet to find a better cafe in KL! Thanks for dropping by and glad to know someone has the same opinion out there. Will be an adventure to drive to pudu but perhaps will check it out one day thanks for the info! Listen to Michael Wilson, the owner of Artisan Roast KL, where he talks about the coffee culture in Malaysia, his passion and coffee quality that he is insisted for.